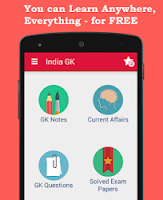 India GK Question Sample Paper 109: India General Knowledge (GK) Sample Question Paper No. 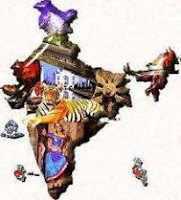 109 with Collection of 20 Question of India GK Questions under GK Quiz in PDF @ India GK Sample Papers. India General Knowledge (GK) and General Science (GS) Questions are also available with Quiz on daily basis. Q.1801 Which state receive rain due to Western disturbance in winter ? Q.1802 The Mehrauli pillar inscription belongs to the period of the ? Q.1803 Moti Masjid in Red Ford, Delhi was constructed by ? Q.1804 Who introduced the principle of Doctrine of Lapse ? Q.1805 Which one of the following nations was the first to start sea trade with India ? Q.1806 Which one of the following dynasties was ruling at the time of Alexanders invasion ? Q.1807 Which one of the following works deals with the history of Kashmir ? Q.1808 In which of the following is the Brahman the Central Theme ? Q.1809 In 1857 the first shot from a rebels gun was fired in ? Q.1810 The difference in years betweek Vikram Era and Christian era is ? Q.1811 Which of the following Jain doctrines is considered as the origin of Mahavira ? Q.1812 The beautiful wooden railings in the sanchi stupa were made during the reign of ? Q.1813 The theory of Agnikula is related to the origin of ? Q.1814 Direct Action was the brain child of ? Q.1815 Tripitakas are sacred books of ? Q.1816 In which of the following respects the various Harappan sites a marked uniformity? Q.1818 Who among the following was the 'Political Guru' of Mahatma Gandhi ? Q.1819 Who of the following was the earliest known greek follower of Bhagavatism?